Key life skills in the garden. OKE works to 'grow mighty kids' in Aotearoa, by working with primary schools to put in gardens where kids can learn key social and life skills. We exist to provide Kiwi kids with the opportunity to learn life and social skills by bringing gardens and other life changing projects to New Zealand primary schools. Why is it important for kids to garden? First and foremost, learning outside is a great way to educate kids. Initially, we were concentrating on kids having access to fresh fruit and vegetables, but as we've worked more with schools over the last few years, we have come to realise gardens deliver an abundance of benefits and the crops have almost become secondary. A garden breaks down the pigeon holes which kids often find themselves placed i.e. the sporty kids, the bright kids, the quiet kids, etc. Regardless of physical and mental capabilities, all kids can nurture and grow in a garden with the right support. What will change for your region if we invest greatly in the OKE Charity? The goal for OKE is to improve the hauora (Māori philosophy of health and well-being) within our communities. Through the schools we work with, OKE will continue to develop skills in young Kiwis from financial literacy to knowledge transfer from the elderly in their community. Who are some of the people you help? Which schools? OKE works with Primary school kids in South Auckland. We have helped over 2,500 local kids access a school garden. These gardens have been built through working bees at the schools. The volunteers at these working bees have included parents, teachers, school board members, local community members and corporate volunteers. Want to see these garden grow? 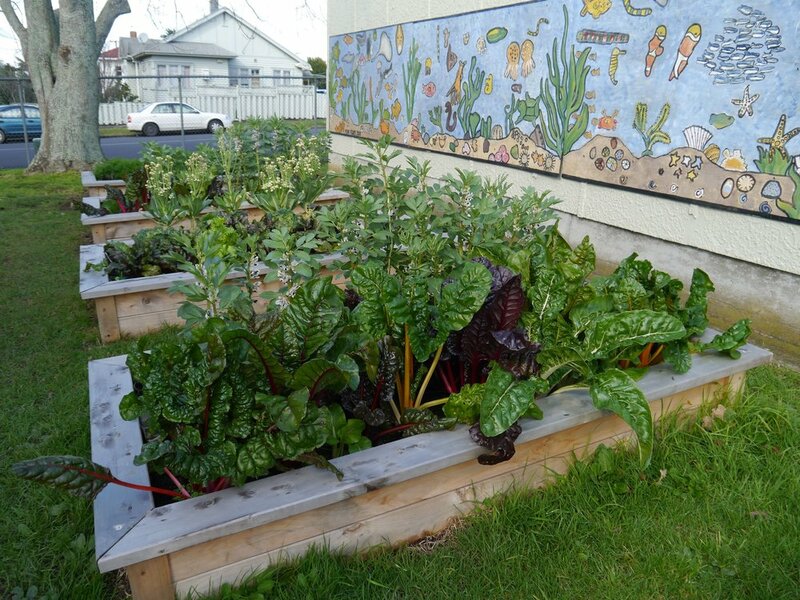 OKE Charity needs ongoing support from its community so that it can continue to rollout gardens in New Zealand primary schools. You can help support schools in South Auckland by providing OKE with what they need to get these gardens built. Materials in kind - anything that can help us deliver gardens to New Zealand kids. What are the biggest challenges that face your organisation and its work? OKE is tackling some tough community challenges, by implementing initiatives such as Growing A Future (gardens programme), we're giving local kids the skills to face these challenges. OKE needs funding to grow into a nationwide charity and help kiwi kids up and down the country. The charity ultimately needs a stable (employed) team to build upon the success we have already delivered. OKE have recognised that building a garden is the first step with the Growing A Future programme. An ongoing education resource is needed, combining traditional teachings i.e. maori culture, seasonal gardening and curriculum requirements, etc., with modern technology teaching tools. We are looking to team up with Conical Animation and Kauri Flats School to develop an online app to deliver season by season education material. The app will include state of the art Augmented Reality (AR), bringing the garden into the classroom for those rainy days. Exciting stuff! Want to find out more? Visit OKE Charity's website here, or check out their Facebook page.